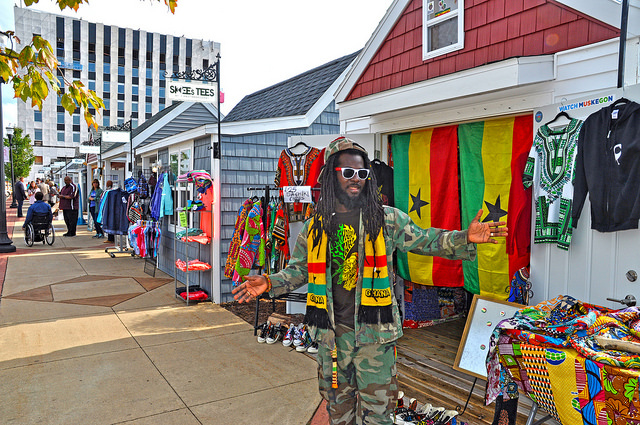 “Yeah, man, fyah, fyah, fyah!” Bailey-Yabani, who moved from Ghana in West Africa to Muskegon in 2014 and is the owner of Abeshi Fotos + Crafts, a photography, art, clothing, and jewelry business that operates in one of the new chalets at the downtown Western Market, will yell back, smiling and pumping his arm in the air as he says the phrase that’s become a mantra in his own life. As Bailey-Yabani has become a familiar face throughout Muskegon, hearing this succession of fyahs has become increasingly commonplace. A couple weeks ago, when we were interviewing him outside his Western Market shop, passersby regularly shouted the phrase, to which Bailey-Yabani would raise a hand in greeting and laugh as his friends—downtown shop owners and brewers and politicians—emphatically waved to him before disappearing into the warmth of places like Rootdown and Unruly Brewing. And it’s true: in a matter of just a couple years, Bailey-Yabani has become something of a local celebrity, with everyone from Muskegon Mayor Stephen Gawron (whom the shop owner calls “one of his favorite people”) frequenting Abeshi to Unruly Brewing naming a beer “Fyah fyah fyah,” a chocolate coconut stout, in his honor this past summer. “Tac is this to-the-top brimming over vessel of love and excitement,” Gawron says, using Bailey-Yabani’s nickname. “You’re coming down the street, and you hear, ‘yah man, yah man, yah man’ and ‘up, up, up’ from him. Abeshi means I am here; we are here, doing this together. If that doesn’t tie into the idea of Muskegon, into Muskegon rising, I don’t know what does. Tacitus Bailey-Yabani in front of the Abeshi chalet at the Western Market in downtown Muskegon. Photo by the Michigan Municipal League. Western Market debuted downtown this past summer and features 15 locally-owned businesses operating in colorful chalets lining Western Avenue. City officials gave their stamp of approval for the market in order to offer affordable rent to area entrepreneurs, as well as to grow pedestrian traffic in Muskegon’s downtown. Spend any time with the Abeshi owner, and it’s evident why he’s become so well known so quickly throughout the city and why he’s a rising star in the city’s growing entrepreneurial landscape: he’s charming, honest, funny, and poignant. And he wields words powerfully. A conversation with him can, within minutes, move from stories of him living on the street in Ghana as a teenager to his internationally acclaimed photo exhibitions in Accra, the capital of Ghana, to moving a little more than 5,700 miles from his home in Ghana to Muskegon. “When I first got to Muskegon, I thought to myself, ‘This is a big place with big chances, big opportunities,” he says. “The people are wonderful here. 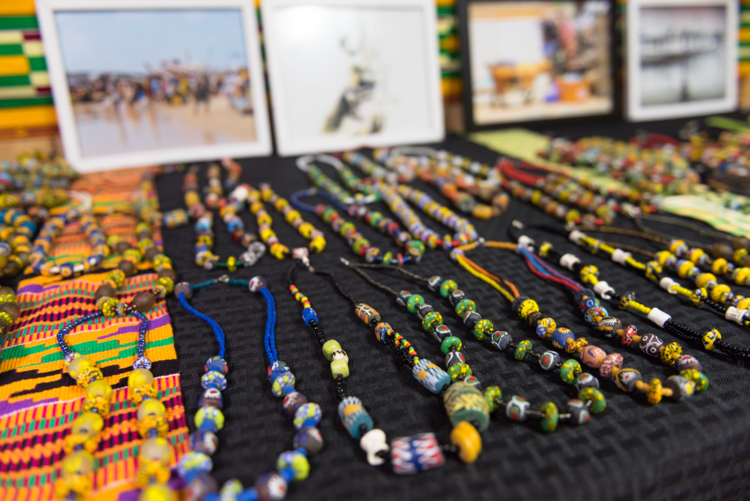 I wanted to bring my culture, my heritage here, so I started selling things—Ghanaian art, jewelry, my photographs of Ghana—at the [Muskegon] Farmers Market. Then the [Western Market] chalet opportunity came, and I wanted to do that. 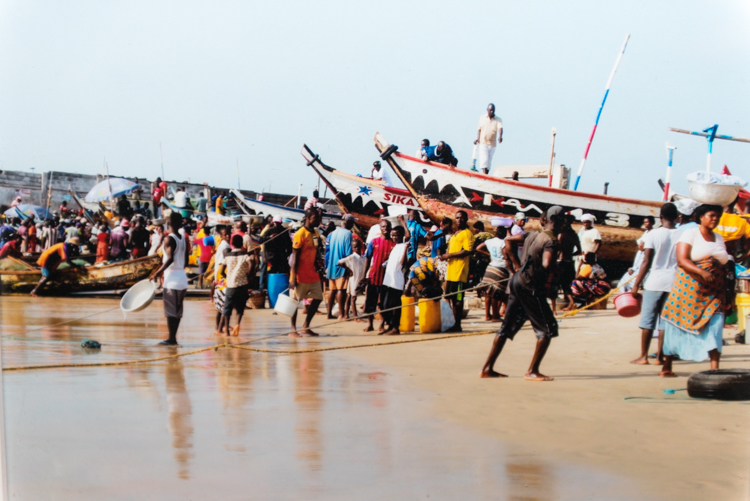 Bailey-Yabani’s story begins in Accra, a city of about two million people situated on Ghana’s Atlantic coast—a space that for centuries was known as part of the “Slave Coast,” where millions of Africans were forced onto boats and sent to lives of enslavement in North America, South America, and the Caribbean between 1525 and 1866. 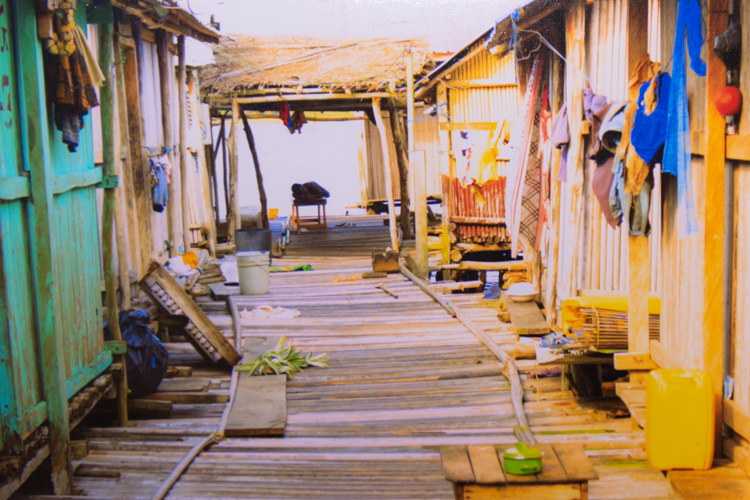 A photo Tacitus Bailey-Yabani took of Jamestown in Ghana. Now known as West Africa’s music capital, Accra is a sprawling city pulsing with energy; countless artists, musicians, and chefs call the metropolis home. It is there, Bailey-Yabanai explains, that you’ll find some of the most vibrant street life and marketplaces you’ll ever encounter. And it is these spaces, the streets and the markets, that propelled him to fame; Bailey-Yabani became a prominent photographer in Ghana and was most well known for capturing images of life on the streets he knew intimately well. 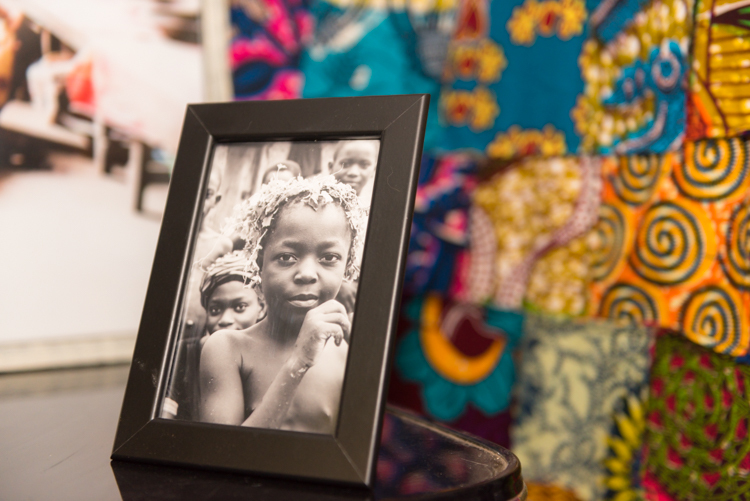 Several photos he took of Jamestown, now one of Accra’s liveliest areas that’s teeming with fishermen and street vendors selling everything from barracuda to motorcycles, are framed on the walls of his home in Muskegon. 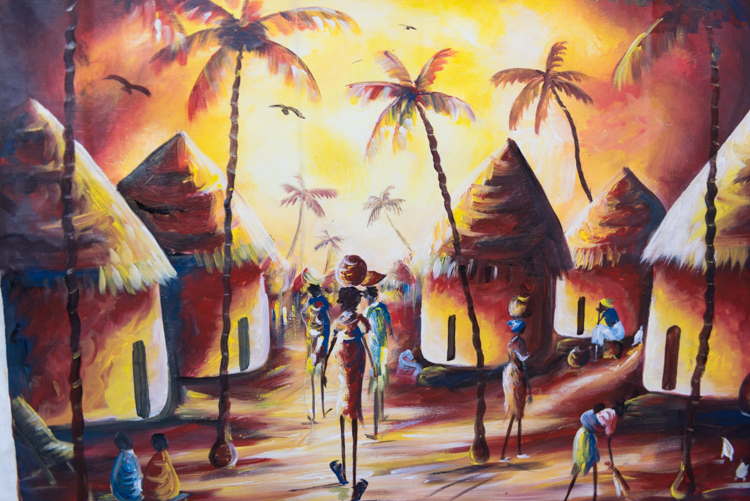 They are of life as Bailey-Yabani knew it in Jamestown: a world of boats and fishing and art and tantalizing scents. Like so many places in West Africa, it is a place filled with life, but it is also a place filled with a horrific history in which millions of people’s lives were destroyed—something Bailey-Yabani, and Ghanaians as a whole, do not forget. “You know Jamestown? This is where there were slaves,” he says, pointing to his photo of Jamestown’s coastline, a place home to the James Fort, which the British built in the 17th century and which was used hold more than a million slaves before they were forced onto boats to travel across the Atlantic Ocean. A photo Tacitus Bailey-Yabani took of homes in Accra. Bailey-Yabani was born at Tema General Hospital in Accra in 1985. His mother, Margaret Akita, died when he was four years old, and his father, Osoronko Nana-Yabani, left his mother before Bailey-Yabani ever had a chance to know him. Following his grandmother’s death in 2000, Bailey-Yabani ended up living on the streets, parking cars to make money. Then, around 2006, he met a man who would forever change his life and become a godfather to him: Emmanuel Owusu-Obonsu, an acclaimed Ghanaian-Romanian musician and film director who found Bailey-Yabani a place to live. Then, at about 20 years old, Bailey-Yabani moved into the Pidgen House, a space in Accra filled with musicians and artists. Owned by Panji Anoff, a music producer and all-around cultural icon in Ghana who too ended up transforming Bailey-Yabani’s life, the Pidgen House was where Bailey-Yabani ended up falling in love with photography. From there, his life became a roller coaster of adventure, from traveling West Africa with big-name musicians to interning at the Pidgen Music label, owned by Anoff, and becoming a famous photographer. 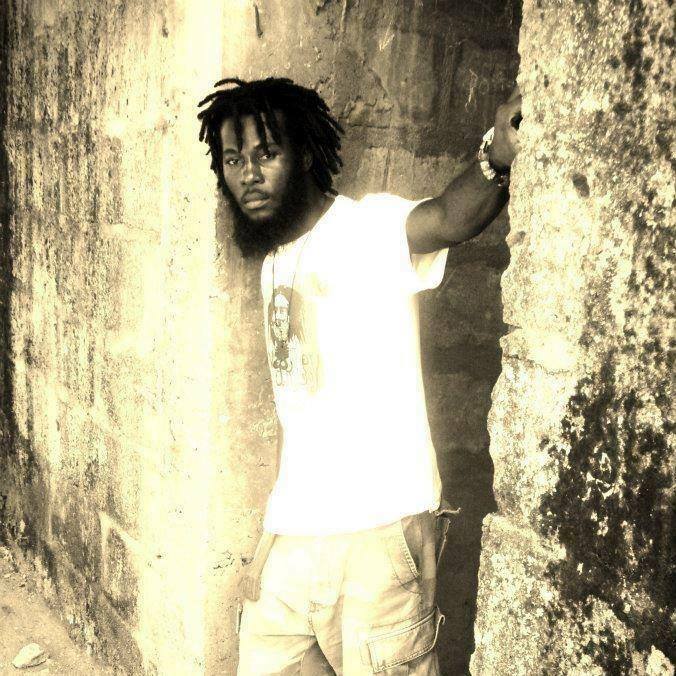 Tacitus Bailey-Yabani in Ghana. Photo courtesy of Tacitus Bailey-Yabani. Within a matter of years, Bailey-Yabani’s images became known throughout Ghana. 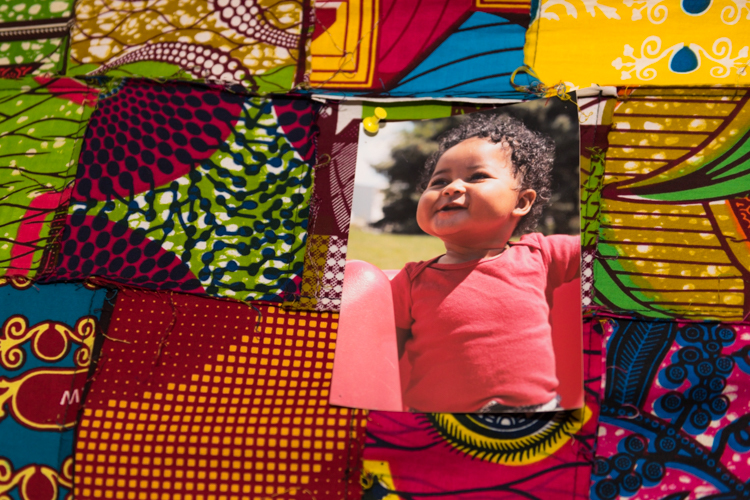 Just before he moved to the United States, his photography was featured in a 2013 exhibition in Accra, “Trotro Adventure,” which also included work by the German photographer Sofia Mitre. He also had his work presented in “The African Child” exhibition, which highlighted his photos of children living on the street in Ghana. 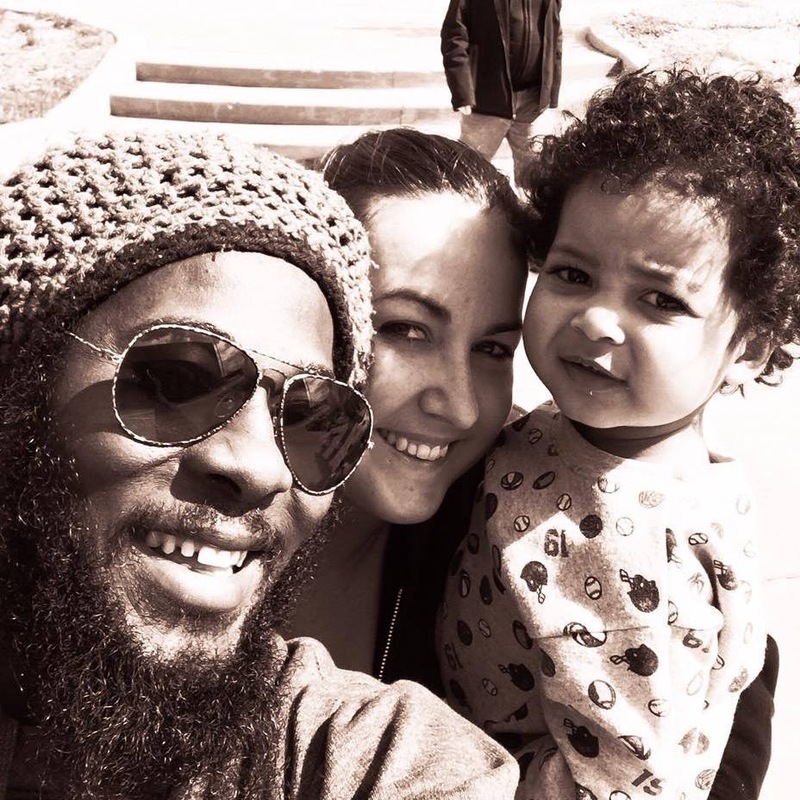 Tacitus, Jessica, and Damian Bailey-Yabani. Photo courtesy of Tacitus Bailey-Yabani. 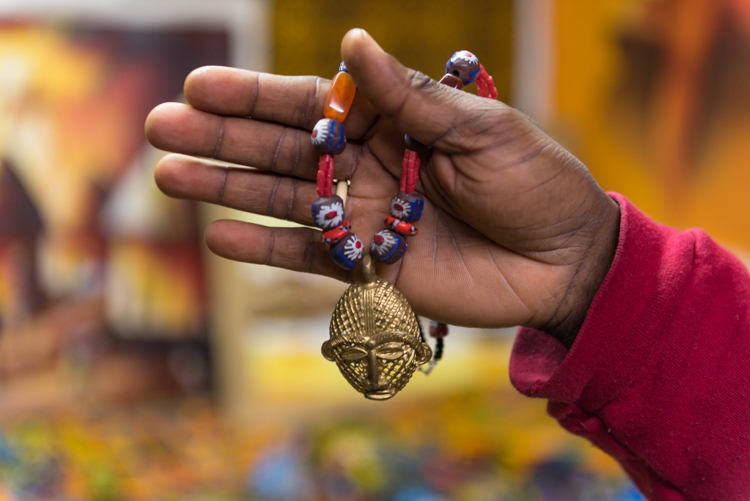 Upon arriving in Muskegon in 2014, Bailey-Yabani immediately began to sew himself into the fabric of the city, and he started operating Abeshi at the Muskegon Farmers’ Market that year. 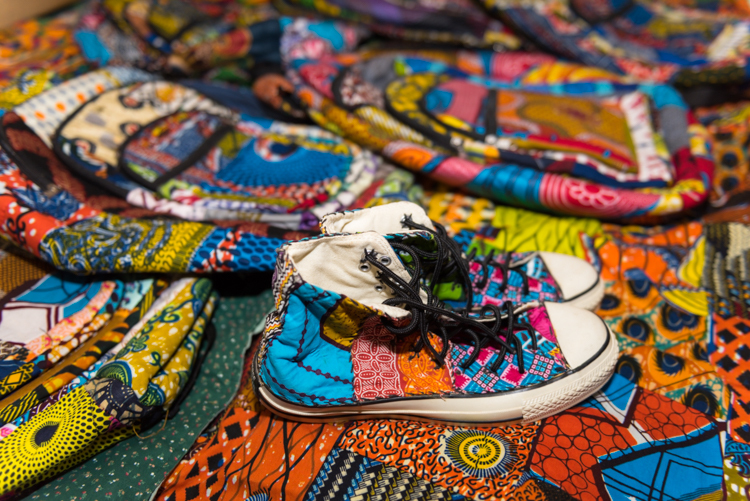 As he continues to do with Abeshi at the Western Market, Bailey-Yabani sells his own artwork, such as his photography, as well as goods from Ghanaian artists, including handmade jewelry, clothing, patchwork sneakers, hand-sewn backpacks, and paintings. 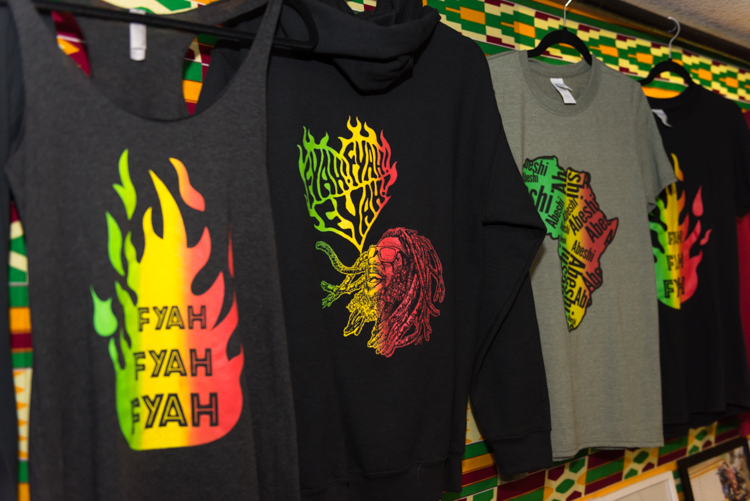 He then sends the proceeds from those goods back to the artists in Ghana. Eventually, the Bailey-Yabanis would love to open their own Ghanaian restaurant to introduce Muskegon to the tastes of Ghana: a culinary world filled with fried plantains, yams, maize, a vast array of rice dishes, and cassava—one of the world’s most drought-tolerant crops that is a key ingredient in a number of Ghana’s popular spice-filled stews. The idea behind the food expansion follows Bailey-Yabani’s entire outlook on life: it’s about connecting with people, building relationships, forging a world filled with individuals who want to get to know others different from themselves. “Meeting people, sitting down with people, that’s what life should be,” Bailey-Yabani says.